We proudly serve Residential and Commercial customers in the following Los Angeles – South Bay communities: Manhattan Beach, Hermosa Beach, Redondo Beach, El Segundo, Torrance, Palos Verdes Estates, Rolling Hills Estates, Carson, Gardena, San Pedro, Lomita, Harbor City, Hawthorne, Inglewood, Westchester, Playa Del Rey, Long Beach and other surrounding cities. Fish South Bay can service your Home or Business. 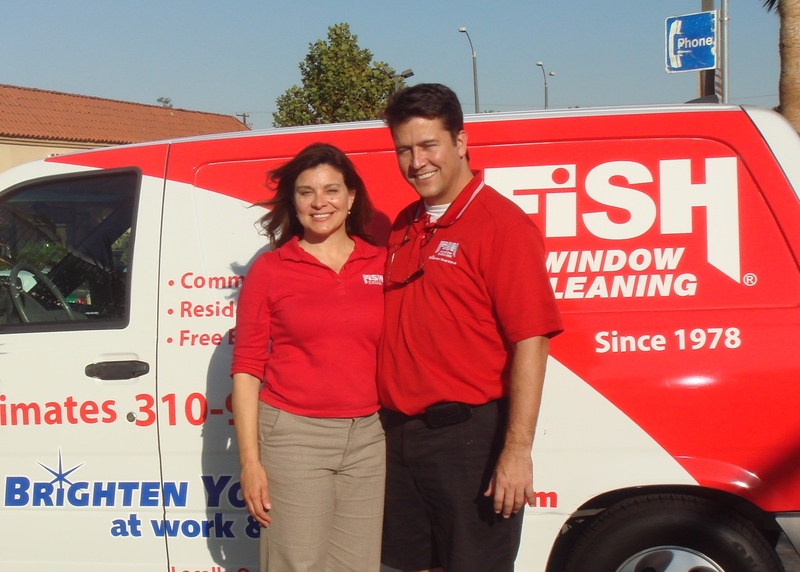 Why is Fish Window Cleaning #1 in the South Bay? We are a professional, locally owned/operated national franchise – We do things right! We clean all commercial and residential windows (not just the easy stuff) as well as chandeliers, skylights, ceiling fans, mirrors, gutters, awnings, clean/fix screens and we power wash too – We do it all! We accept credit cards, wear ‘fish’ booties when in our customers’ homes and have a 100% satisfaction guarantee – If you’re not satisfied, we’ll make it right! Would Grandma feel comfortable with our Cleaner in her home? We are professional, uniformed, licensed, bonded and insured – We look sharp! We serve the entire South Bay by establishing maintenance ‘routes’, enabling us to meet our customers’ needs while keeping our costs low – We’re competitively priced! Our biggest differentiations: We Always Answer the Phone, We Always Show Up, and We Care! Visit our Website or Call 310-973-3474 to schedule a Free, on-site estimate. We’d love to add you to our list of satisfied customers.